Do you fancy owning a national dog? Then you might be interested in getting a Havanese. Are you looking for a toy dog but you don’t want to end up with something fragile? The Havanese is part of the Bichon breed. The resemblance is pretty evident if you put a Bichon Frise and a Havanese side by side. The Havanese was introduced to the United States when upper class Cubans fled their country when war broke out. Pretty soon, people became attracted to this charming breed and it didn’t take long for the Havanese to proliferate. Although the Havanese looks very much like the Maltese, it possesses a sturdily built body. The Havanese is known primarily for having a snow white fur coat with long strands of fur. Nowadays, the Havanese comes in different colorations and are accepted by the AKC. As part of the Bichon line, the Havanese possesses curly fur which requires constant grooming to maintain its glossy appearance. Like any toy dog, the Havanese is very loyal to his owner to the point of being considered “clingy”. These dogs easily get bored and can end up destroying your house if left alone for too long. They’re also very prone to separation anxiety and can keep your neighbours up the whole night with their whimpers if they begin to miss your presence. The havanese is also very smart and can be trained to perform some tricks. They easily learn and love to be the center of attention if given the chance. The Havanese may have a thick set of long fur but they get cold rather easily. So keep it a point to keep these dogs warm because they can also suffer ailments connected with being cold. Groom the Havanese regularly to avoid any matting. Trimming the fur can also be helpful in reducing the risk of matting. 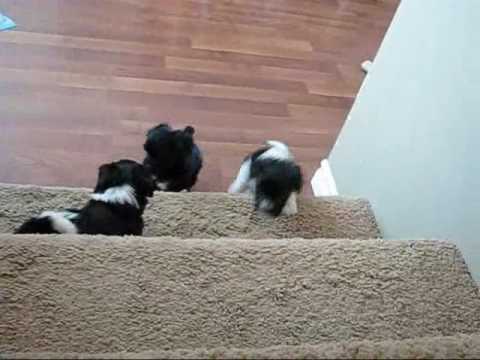 3 Havanese puppies for sale near you. 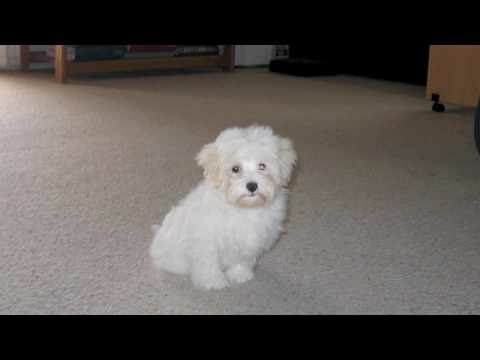 When looking for Havanese dog puppies for sale, this breed may be referred to as the Havanese Cuban Bichon, Bichon Havanais, Bichon Havanes, Havaneser, Havanezer, Havana Silk Dog, or Bichon Habanero. The Havanese originated in the country of Cuba and is known as the National Dog of Cuba. The Havanese is a Bichon type of dog that was developed from the now extinct breed Blanquito de la Habana. By the early 1800s, the Havanese was a popular lapdog of the aristocratic families in Cuba, England, Spain, and France. This Havanese has been used as companion dog, watch dog, and herder of poultry. The Havanese puppies for sale were recognized by the American Kennel Club (AKC) in 1996 as part of the Toy Group. The Havanese puppies for sale will be a small dog with a body slightly longer than it is tall, but not a delicate dog, this breed is very sturdy and hardy. 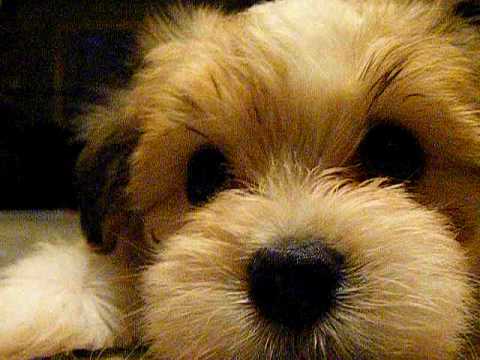 The Havanese averages between 8 and 11 inches in height and weighs between 7 and 13 pounds. The average life expectancy of this breed is 14 to 15 years. Health problems associated with the Havanese include: cataracs, hip dysplasia, Progressive Retinal Atrophy (PRA), Patellar Luxation (dislocated knee caps), deafness, and dry skin. The Havanese puppies for sale have a double coat, both the outer and undercoat are soft and varies from wavy to curly and is profuse. The coat reaches 6 to 8 inches in length. The coat of the Havanese is very lightweight and designed to protect the skin from the sun and cool the dogs skin this coat is not good at protecting against the cold. The Havanese puppies for sale do have a recessive gene and if both the sire and dam have this gene, the puppies may be born with a short coat. The coat of the Havanese puppies for sale will not shed but require a brushing 2 to 4 times a week in order to remove loose hair. The coat color of the Havanese puppies for sale comes in any color including, gold, white, cream, silver, blue, chocolate, black, parti-color, and tri-color. Black and chocolate coats are preferred by many U.S. breeders. When you see Havanese dog puppies for sale and make the decision to make a Havanese puppies for sale a member of your family, you will find this breed to be loveable, curious, busy, affectionate, gentle, social, and loveable. This breed loves to clown around and is the happiest when the center of attention. This breed loves to be with their family and may become develop behavioral issues or destructive behavior if they are left alone frequently for long periods of time. The Havanese puppies for sale get along well living in an apartment as long as they receive a sufficient amount of exercise. This breed is very active inside. The Havanese is very alert to their surroundings and makes an excellent watchdog giving their owner a warning bark for a strange sound or a strange person. This breed is very fond of barking and should be trained to not bark unnecessarily at a young age. 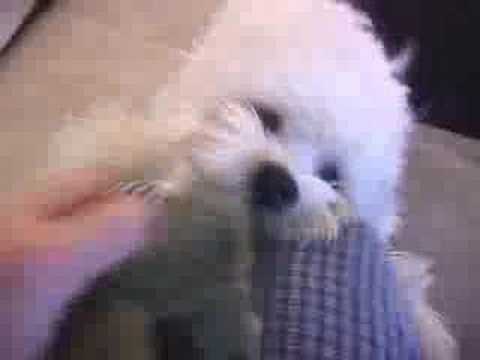 The Havanese is very intelligent and highly trainable. This breed excels at dog sports such as obedience, agility, and flyball. This breed has also been used as a performance dog in the circus. The Havanese is gets along well with children and will become very attached to them. Actually, the Havanese gets along well with strangers, other dogs, and other animals because they are naturally friendly. These puppies for sale will bring laughter and love into your home for both you and your children. This is a nice way to make your life easier and save time searching for your Havanese dog’s puppy for sale. Once your email alert is put in place, all you have to do is check your emails regularly! You can create several email alerts, should you wish to do so.